Bold confident patterns and palette, these are signature items of Antra’s Svarcsdistinct illustration style. 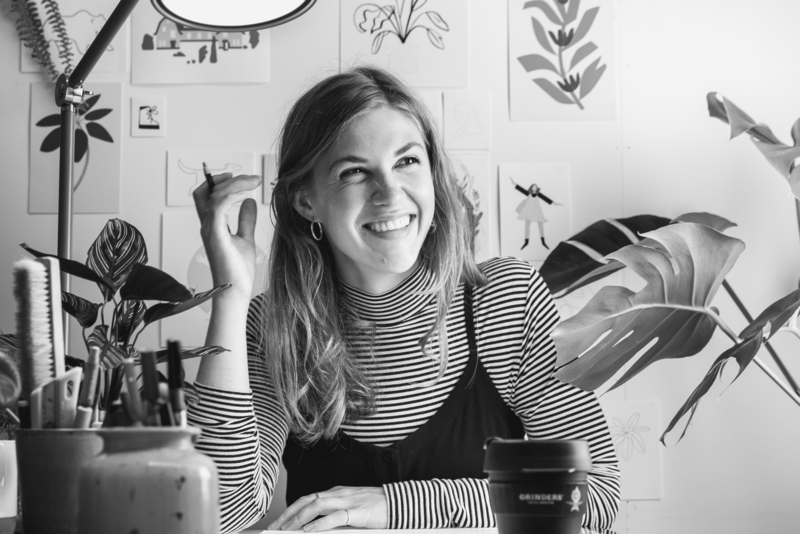 Melbourne born with a Latvian background, Antra(pronounced Ahn-Tra) could not be more at home on top of a mountain, with one eye on her sketch book and the other on the horizon. Illustrations made up of both hand rendered and digital techniques; her style is distinct and quite unforgettable. This is something being quickly recognised in the design industry, having already been snapped up by a number of brands to set the tone for campaigns both locally and globally. There’s a clear energy in her work, an energy she takes from getting out into nature to camp, hike, ride, and ski – she brings that recharging force back with her into her urban life and into the studio. Antra’s energy is now getting focused to take her to the next stage of her burgeoning career as she takes on an event akin to a climb without ropes, her first solo exhibition. Through the course of this development Antra will explore female strength, confidence and connection to the natural world. Antra represents the true embodiment the creativity that comes from From the Streets of Melbourne.